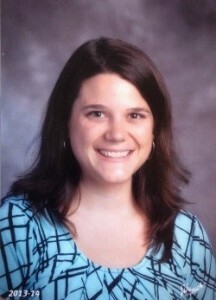 Our guest speaker, Jennifer Forney, is a biology and chemistry teacher at Woodson High School in Fairfax County, Virginia. Jennifer received her Bachelor of Science degree from Shippensburg University in Biology/Secondary Education. After graduating, she moved to Asia where she spent the next eight years. Six of those years were at Tianjin International School where she taught high school biology and chemistry to international students from all over the world. During that time she also earned a Master of Education in Curriculum and Instruction from Indiana Wesleyan University. Upon returning to the United States, Jennifer has settled in Fairfax County, VA and continues to teach all levels of high school biology and chemistry. Her experience in international education and with students of many different cultures continues to impact the way she relates to and educates students in this diverse county. This event is open to all VIU students, staff, and faculty, as well as members of the surrounding community. To learn more about participating in Voices from the Field, please contact Mr. Kevin Martin at kevin@viu.edu, follow us on social media @SEDatVIU and @TESOLVIU, or visit the School of Education’s website at www.viu.edu/sed! The School of Education at VIU is proud to announce the inauguration of the “Voices from the Field” speaker series. Join us on September 19th, 2013 from 2:00pm to 3:00pm where we will host a discussion on “Taking Advantage of Service-Learning Opportunities for Teachers” with our guest speaker Mika Hama, Director of Program Evaluation at The Global Language Network (GLN). GLN’s mission is to provide opportunities to learn any language at a minimal cost. With quality faculty, curriculum, and exposure to languages and cultures, GLN empowers individuals and communities in the Washington, DC area through the gift of language. Participants will learn about what makes GLN effective as a non-profit organization and insights into managing an organization. This event is open to all VIU students as well as community members who might be interested in learning more about VIU and GLN. To learn more about participating in the Voices from the Field Series, please contact Mr. Kevin Martin at kevin@viu.edu and follow us on social media @SEDatVIU. Virginia International University is pleased to announce that a partnership has been established with Kappa Delta Pi International Honor Society in Education. VIU will serve as a Liaison Chapter for Kappa Delta Pi (KDP). KDP is an internationally recognized, prestigious international honor society in education that has been in existence since 1911. KDP was established to foster excellence in education as well as to provide resources and promote fellowship among educators. As such, student membership in KDP is an honor and demonstrates devotion to and stellar performance in the field of education. Partnership with KDP will provide increased professional opportunities for students by providing resources and networking opportunities on a global scale. More importantly, membership in KDP will assist in connecting students with other pre-service and in-service teachers internationally, providing resources for teaching (including tips, best practices, research, publication opportunities, etc. ), providing opportunities for professional development (through conferences, workshops, etc. ), and by providing recognition for students as members of an international honor society. Additionally, student membership in KDP will provide internship and volunteer opportunities to our students through the KDP network across the globe. For more information on KDP and eligibility requirements, please visit www.kdp.org or the Chapter Liaison, Kevin Martin, at kevin@viu.edu.